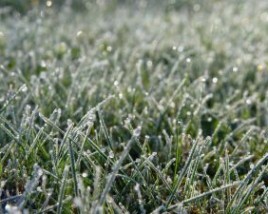 Autumn is the time to start training lawns for the winter. Training the lawn now, or as we like to call it, Aeration and Seeding gives it a head start for next spring, too. 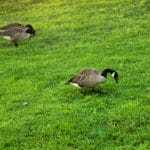 Lawns benefit from fall aeration and fertilization. If you’re a Green Lawn Fertilizing customer this is your Round 5 application. Aeration is most effective if the soil is moist. Don’t try to aerate if the soil is dry. That will only beat up the person aerating and do more damage to the grass. Aeration is most beneficial followed by a thorough watering. As the weather cools and your lawn approaches dormancy, watering once a week is enough. Watering after aerating lets the moisture penetrate deeper. The water also breaks down the cores of soil, which add nutrients to the grass. 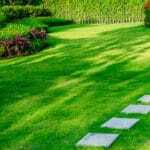 Fall fertilization on lawns will show some immediate results but even more importantly well help prepare your lawn for dormancy and enable it to repair faster after the cold winter months. 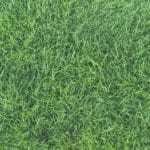 Organic fertilizer on cool season grass, like bluegrass, promotes fall and spring root growth. Time your fertilization before a storm or plan to water in the fertilizer. 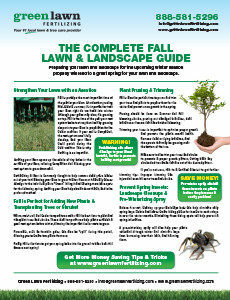 Without additional water the benefits of fall fertilization are minimized. Plan to water the lawn during dry winter periods. Water when the soil isn’t frozen. Winter watering lawns helps prevent clover mites and snow mold. The mites can damage large lawn areas in a short period of time. You might also want to considering using a Fall Fungicide program prior to your lawn’s dormancy period. 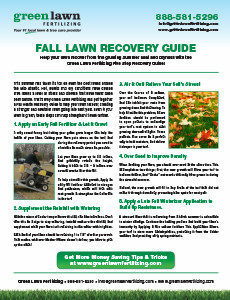 Fall lawn care will help your lawn survive the winter. It will also help it thrive next spring. Give your local Green Lawn Fertilizing sales representative a call to signup for Green Lawn’s Fall and Winter Applications! If you’re a new customer, please call 888-581-5296 to get an estimate!